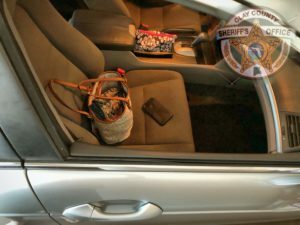 The Clay County Sheriff’s Office is taking steps to increase community awareness by providing security advice and related services to residents before and after a burglary is committed. Remember to do the #9PMRoutine and #CheckItChirpIt. We can help prevent burglaries and reduce crimes of opportunity. Remove your valuables and secure your vehicle, home and property. Consider installation of a professional, monitored, registered alarm system. While out of town, have mail and newspaper delivery postponed or ask a neighbor to pick it up regularly. Sign up for the House Watch Program to notify deputies that you will be away. Proper lighting of your house and surrounding yard/driveway is crucial to preventing a break-in. While on vacation, attach interior lamps to automatic on/off switch system. “Beware of Dog” signs are a great deterrent – so is an actual dog! Landscape under first-floor windows using thorny plants such as rose and holly bushes.